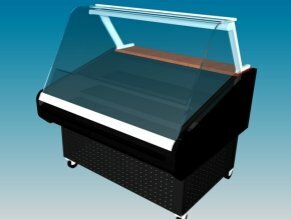 Amtekco manufactures mobile refrigerated display units that are at home in any department of your store. These self-contained units can be used to merchandise a wide variety of products, from wine and cheese to sandwiches, paninis, and other prepared foods. Amtekco's line of mobile refrigerated units give you an efficient, cost effective use of space with a fixture that is built to last. Manufactured from quality materials and economical, these units will allow you to merchandise a wide variety of foods and beverages in a wide variety of areas. 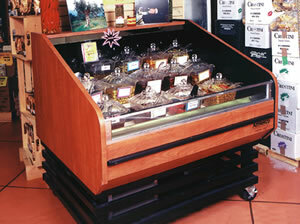 These mobile display units are ETL listed and will provide you with the dependable usage for many years to come.